Why Did GRAIL Even Exist? Space is expensive, and we need to have good justification for the investment the probes promise. So with GRAIL, scientists looked to get as many scientific insights as possible. This included mapping the gravity field around the moon (with 100 times as much near-side gathered and 1,000 times as much far side information gathered), thus getting clues to the interior make-up of the moon, how the moon has heated/cooled off since forming, and also giving future missions a better profile for successfully navigating the lunar region (Brown 8). Map the layout of the lithosphere (the part of the crust/upper mantle that impacts surface features and has thermal ties to the interior of the moon). Uncover the asymmetric thermal growth of the moon (for definite thickness differences exist between the sides of the moon). Learn about the “subsurface structure of impact basins and the origin of mascons,” for impact basins have a higher than expected gravity field and seem to be concentrated mass deposits, hence the title mascons. Figure out the growth process of “crustal brecciation and magmatism.” Newer craters (younger than 3.2 billion years old) seem to have a smaller gravity field than their surroundings and it is possible that the reason is the creation of new rocks from impacts aka brecciation or perhaps because of magnetism. Learn about the interior layout using tidal forces, or the gravity pulls of mass distributions. See if limits can be placed on the size of the solid inner core (21-2). The two probes were virtually identical with the exception of the star trackers (which are pointed at different angles), the Lunar Gravity Ranging System, and the MoonKAM mounting (more on those soon). Much of the components were next-generation updates of the GRACE (Gravity Recovery and Climate Experiment), a previous mission that investigated the gravity field of Earth, and with fuel each probe weighed in at 667 pounds (17). an Altitude Control subsystem which kept the probe on track by tracking the sun, the stars, and even its inertia! Reaction wheels compensated for deviations. a Propulsion System consisting of a propellant tank, a container of high-pressure helium, plumbing to distribute the propellant, a “hydrazine catalytic thruster,” a “warm gas altitude control system,” and in addition 8 valves for said system. For the main engine, a MR-106L 22 Newton liquid hydrazine thruster was chosen while correctional thrusts will be dealt with by the warm gas system. a Command & Data Handling subsystem. 2 solar arrays, each one with a total area of 6.2 square feet and able to generate 700 watts of power. a lithium-ion battery with a total charge of 30 amp-hours. a Telecommunications subsystem implementing an S-band transmitter and 2 low-gain antennas. 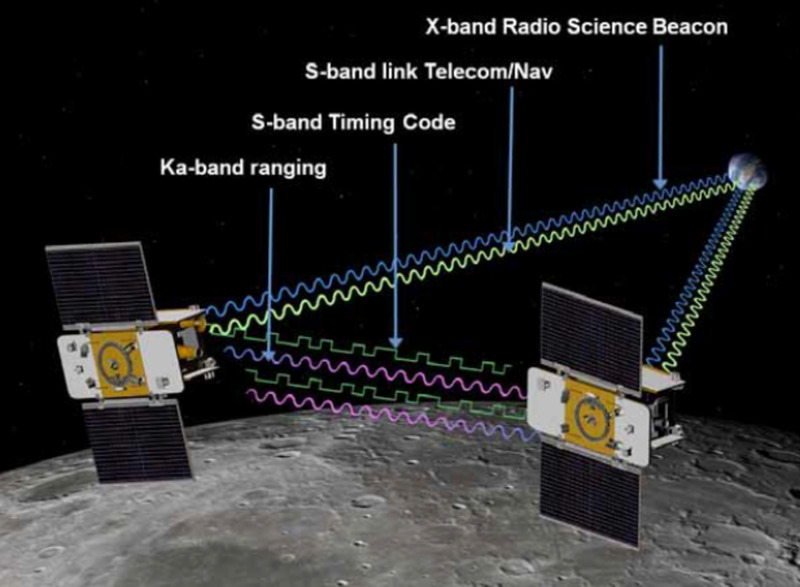 a Lunar Gravity Ranging system, which sends/receives the microwave transmissions between the probes. This is done with “an ultra-stable oscillator, microwave assembly, a time transfer assembly, and the gravity recovery processor assembly.” The oscillator generates a reference signal which the microwave assembly converts in the Ka-band frequency. 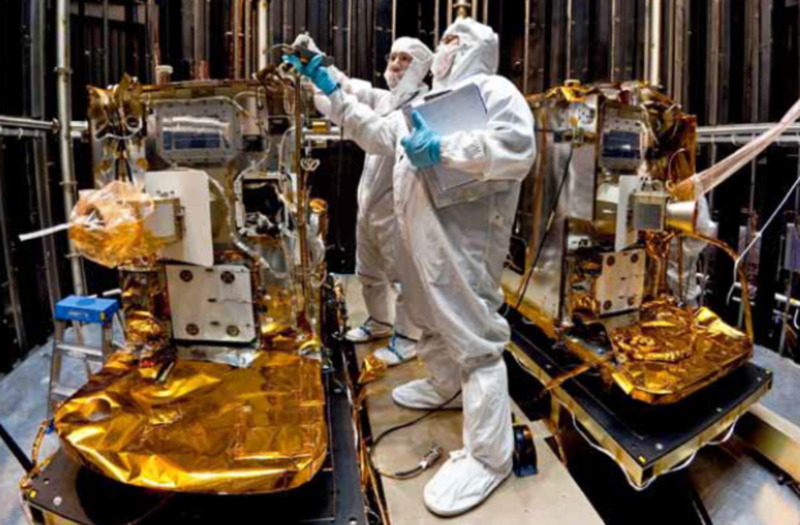 The time assembly ensures that the clocks aboard the probes are in sync while the gravity recovery processor gathers those Ka-band waves and sends the data back to Earth. the MoonKAM video system, which is responsible for the imaging of the mission. A digital video camera as well as 4 other camera heads are pointed all over the probe, with one camera slightly forward, two slightly below it, and one backward. Video was recorded with a max frame rate of 30 frames a second (17-18). The GRAIL mission launched on September 10, 2011 from the Cape Canaveral Air Force station in Florida. During the flight to the moon, the probe's two components (then labeled GRAIL-A and B) separated during flight, with the first one arriving on December 31, 2011 and the second on January 1, 2012. After a 38-minute maneuver, the probes entered into a 11.5 hour-long elliptical orbit. When a total of 27 orbits (during which where corrections were made) were completed, the probes were put in a circular orbit with an altitude of 34 miles (Kruesi, Brown 10). 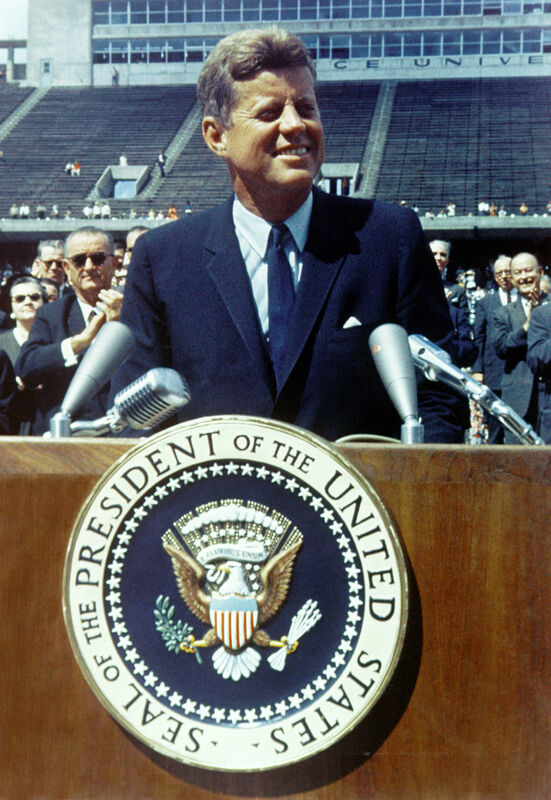 As a student initiative, NASA ran a contest to have the two probes named by the public. Over 900 classrooms involving 11,000 students across 45 states pondered the perfect titles for the pair. Finally, the right combination was found that encapsulated the mission: Ebb and Flow. Get it? Like the tides, with gravity and…yeah, you got it. They were picked by fourth graders at the Emily Dickinson Elementary School in Bozeman, Montana. Ebb was the first probe to have arrived while Flow was the second, to help distinguish between the two (NASA “Montana”). After all the fussing about, the actual science began on March 6 of that same year. With altitude changes from 15 to 33 miles above the surface, the two probes constantly beamed microwaves between them and transmitted any differences in the path length. The precision needed was high, with the ability to resolve differences as low as 20 millimeters despite both going at over 3,600 miles an hour! Those differences were key, for if more mass was up ahead then one of the probes would be pulled minutely and allow, over time, a gravity map to be developed. 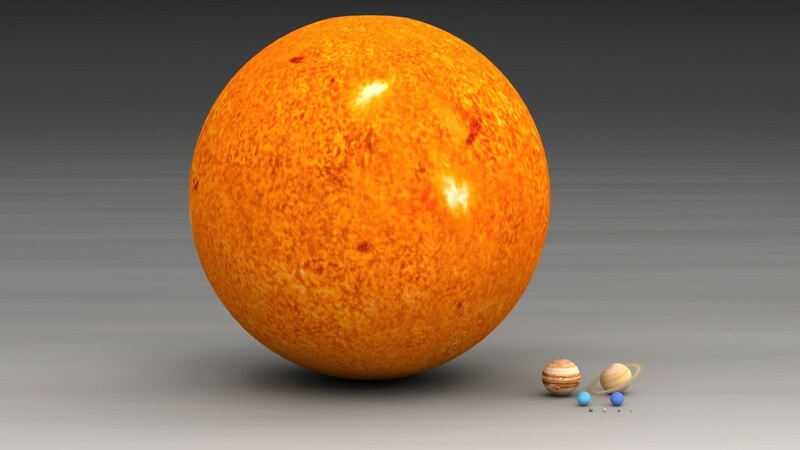 In fact, the resolution ended up showing changes in gravity as small as 8 miles apart. 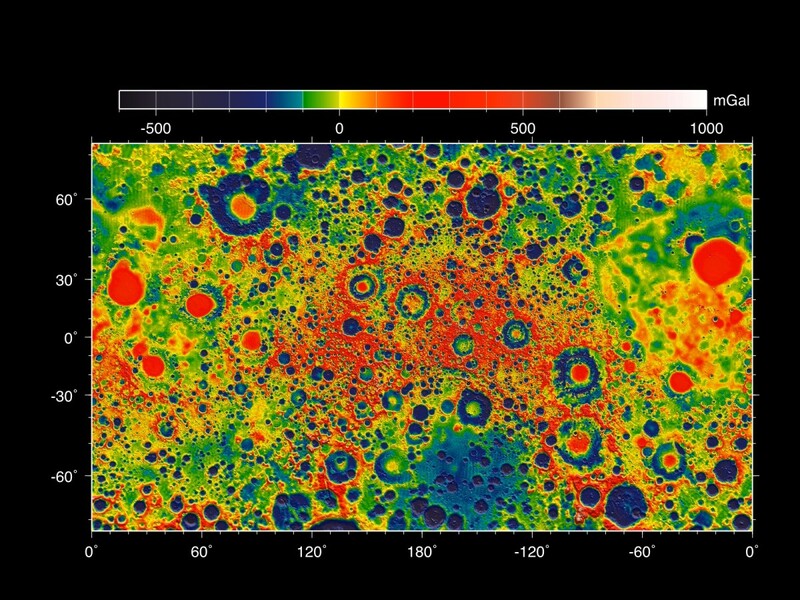 This gravity map helps scientists study the internal layout of the moon, for the crust obscures our interior view rather well (Kruesi). Ebb and Flow, like many missions before it, met its end when it collided with the object it was studying. 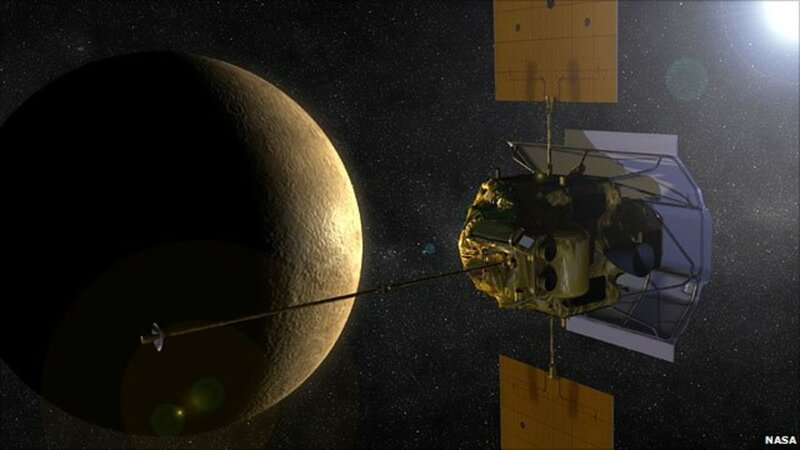 Nothing was wasted on this mission, for it did contribute one last bit of science when it burned off the rest of its fuel, allowing scientists to calculate how off they were in terms of predictions and let those numbers improve future missions. 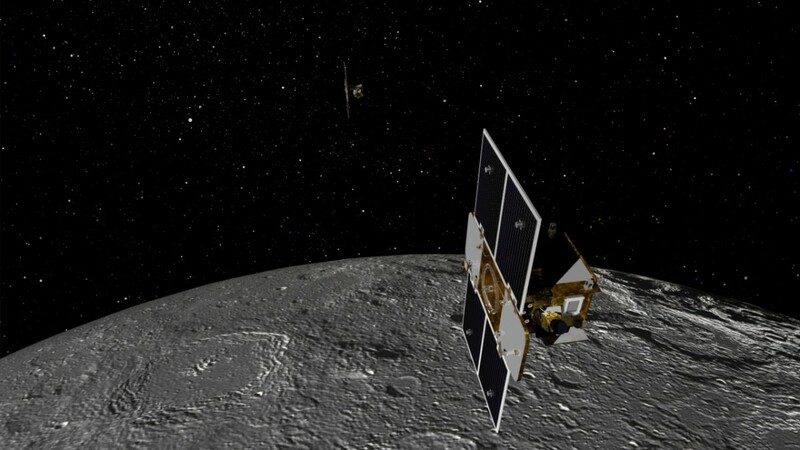 December 17, 2012 saw the end of the 4-month long extension mission when GRAIL ended up crashing into the south side of a mountain that was located near both the north pole of the moon as well as the Goldschmidt crater. To honor the late astronaut Sally K. Ride, the location of the crash was named the Sally K. Ride Impact Site (Kruesi, NASA “NASA’s GRAIL Lunar”). Over a spread of three Science papers in December of 2012, researchers announced several findings based off those gravity maps. First of all, the crust is not as dense as originally thought in the higher portions of the moon but the low flat areas are, which backs up Apollo data. Scientists now think the moon’s crust is 21-27 miles thick which is 1-6 miles thinner than expected but actually lines up nice with a density model that indicates moon material coming from Earth, supporting the Theia giant impact theory. Also of note was GRAIL’s finding that the crust is thicker on the far side of the moon than on the near side, according to a November 8 issue of Science. We also know that the near side shows more evidence of volcanic activity than the farside, so perhaps this thinness could be a reason why (NASA “NASA’s GRAIL Creates,” Ferron “Lunar”). Later, in May 2013, it was revealed that those mascons mentioned earlier were a result of large impacts from asteroids or comets striking the moon where the crust was thin and the mantle thick. This caused magma to rise to higher levels that would normally be present where it cooled off and caused a mass concentration that was higher than the surrounding areas. By having the mantle in close proximity to the surface, anything above it heated up and therefore cooled at a greater density once any gases and liquids were evaporated (NASA “GRAIL,” Chow). October of 2014 would see another major finding of GRAIL released. The Ocean of Storms, a region of the moon previously thought of as a filled in crater, was actually revealed to be a system of rifts and valleys that the moon simply filled up with magma. This was based on gravity readings indicating that long dead magma tubes were frequently feeding into the area, and also because the gravity readings indicated rectangular sections (hinting again at the rifts and valleys) as opposed to circular sections (which would arise from a collision). As magma cooled, rifts formed on the surface due to temperature differentials that allowed even more magma to flow in, eventually filling up the cracks on the surface. Even more evidence for these tubes was found two years later when gravity readings indicated cavities which on Earth bear resemblance to lava tube exit/entry points. However, mission specialists admit the resolution to confirm the finding was just out of reach of the data and therefore the results are questionable (Brown “NASA,” Williams, White). Brown, Dwayne et al. 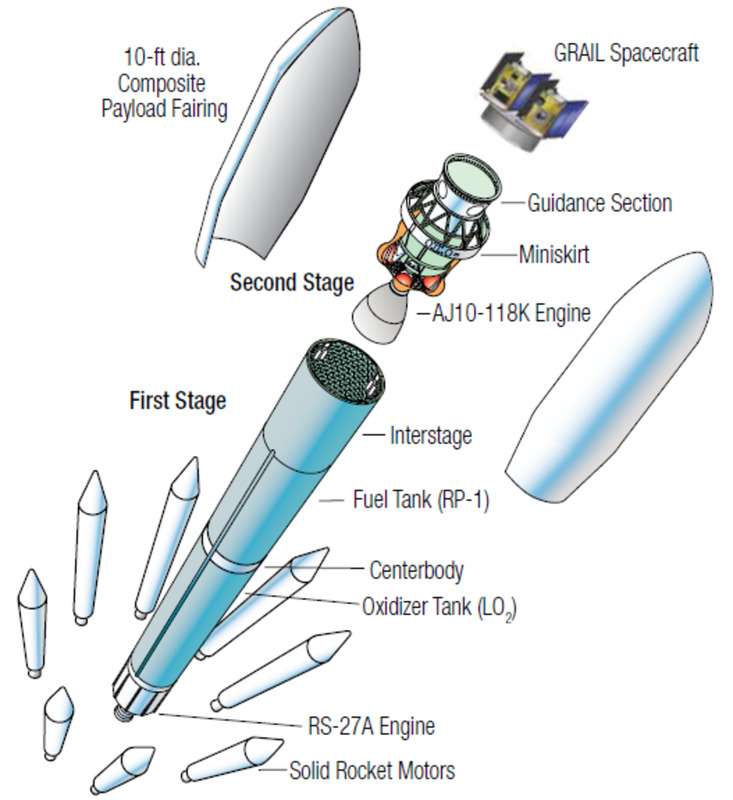 “Gravity Recovery and Interior Laboratory (GRAIL) Launch Press Kit. NASA, Aug. 2011: 8, 10, 17-8, 21-2. Print. ---. “NASA Mission Points to Origin of ‘Ocean of Storms’ on Earth’s Moon.” NASA.gov. NASA, 01 ct. 2014. Web. 04 Sept. 2016. Chow, Denise. “Moon Gravity NASA's Grail Probes Show How Lumps of Mass Form Under Lunar Surface.” HuffingtonPost.com. Huffington Post, 31 May 2013. Web. 01 Sept. 2016. Ferron, Karri. “Lunar Farside Tells More Accurate History.” Astronomy Mar. 2014: 19. Print. Kruesi, Liz. 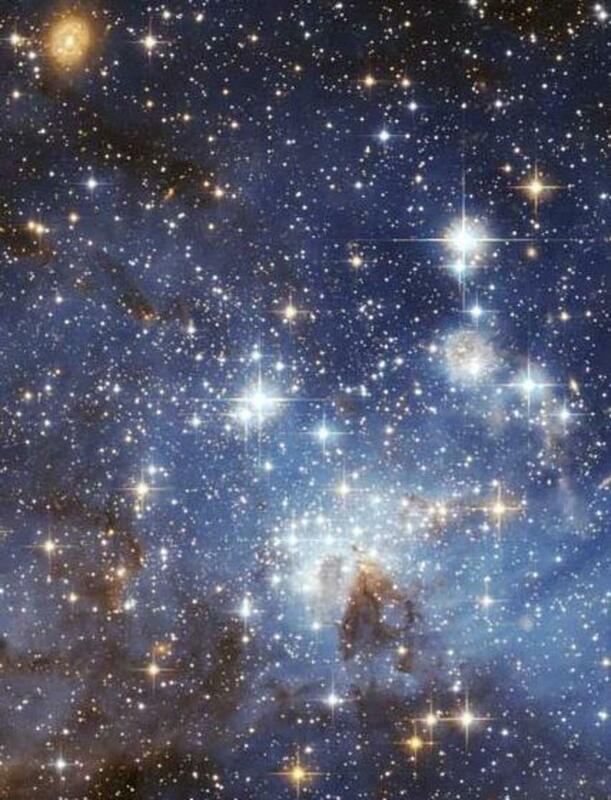 “Grail Maps Moon’s Interior in Detail.” Astronomy Apr. 2013: 20. Print. NASA. 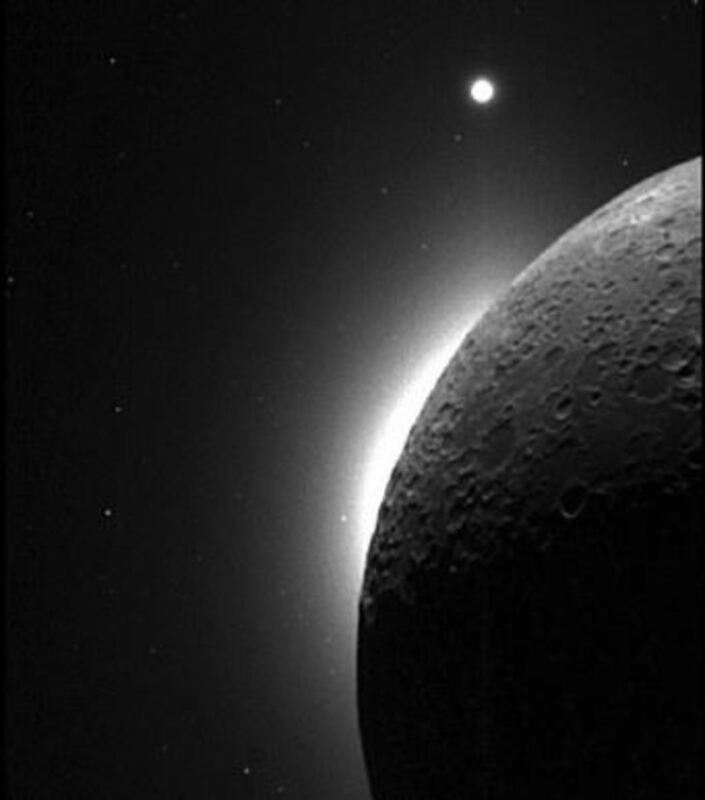 “GRAIL Mission Solves Mystery of Moon’s Surface Gravity.” Astronomy.com. Kalmbach Publishing Co., 31 May 2013. Web. 01 Sept. 2016. ---. “Montana Students Pick Winning Names for Moon Craft.” NASA.gov. NASA, 17 Jan. 2011. Web. 21 Aug. 2016. ---. 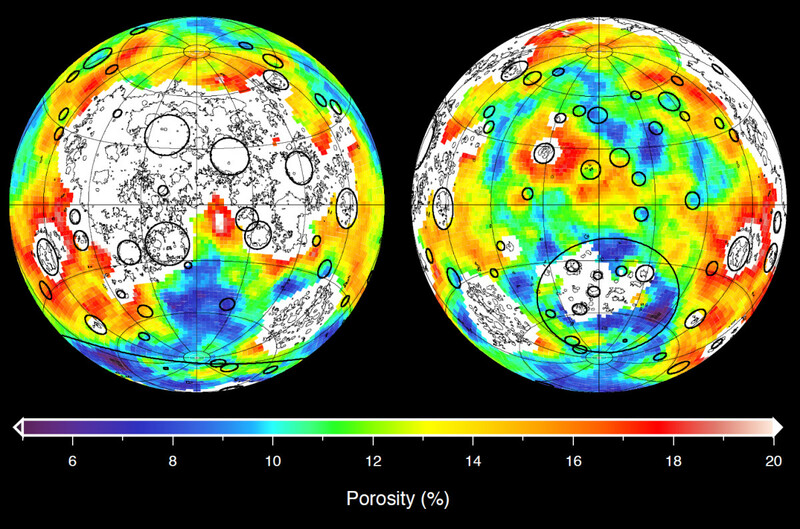 “NASA’s GRAIL Creates Most Accurate Moon Gravity Map.” NASA.gov. NASA, 05 Dec. 2012. Web. 22 Aug. 2016. ---. 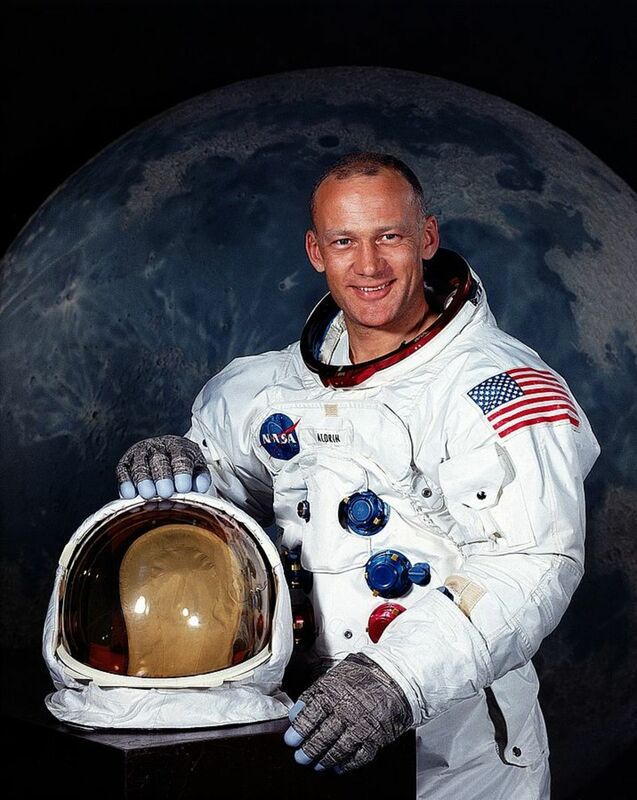 “NASA’s GRAIL Lunar Impact Site Named for Astronaut Sally Ride.” NASA.gov. NASA, 17 Dec. 2012. Web. 22 Aug. 2016. White, Macrina. "'Man in the Moon' Mystery Has Finally Been Solved." Huffingtonpost.com. Huffington Post, 03 Oct. 2014. Web. 17 Oct. 2017. Williams, Matt. “GRAIL Data Points to Possible Lava Tubes on the Moon.” Phys.org. Science X Network, 07 Apr. 2016. Web. 07 Sept. 2016. 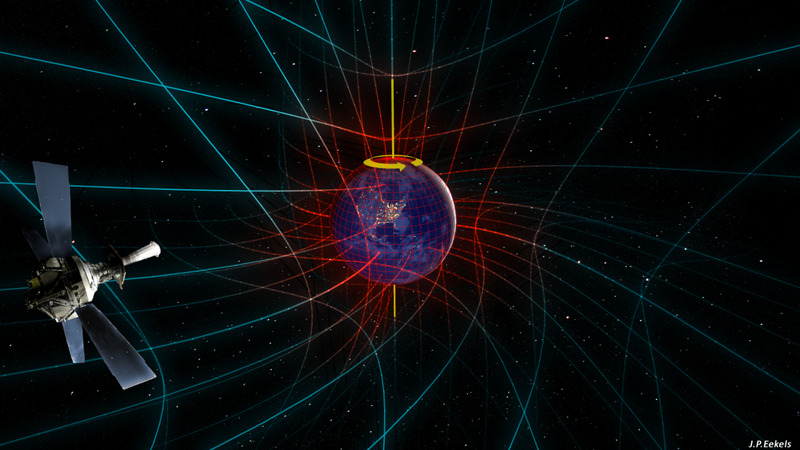 What Were the Gravity A and B Probes and What Did They Do for Relativity? Does the Moon Have an Atmosphere and What Is It Made Of?